Please note that you have been short-listed for this campaign and a set will be dispatched to your delivery address in the coming days. We are looking forward to your listings, reviews and blog article. Thank you for your review of the philosophy hands of hope. Kindly note that this product is already listed in our catalogue and transfer your feedback to this page. Could you please let us know when it is done? Summary: I mention in another review that I really wanted to like the philosophy range but they really make it difficult. I really thought I couldn't go wrong with the hand cream but hands of hope is very simple and really doesn't make any impact at all. It feel far less value for money than much cheaper creams and either I have particularly dense skin or it really doesn't absorb. The scent is dull and the texture very oily (I really felt that I needed to wipe my hands after using it). Overall not one for me. Please note that you are 1 of the 2 lucky winners for this draw and your prize will be dispatched to your delivery address in the coming days. Enjoy this traditional bath accessory during your cleansing routine and review it here! Please note that you have been short-listed for this trial and a full sized pot will be dispatched to your delivery address in the coming days. E:31/03/14, Eden Organic Care | Win 1 of 12 x 100% Certified Organic Avocado Oil. E:15/12/13, Opulentia Organics | Win 1 of 5 Body Oil Travel Sized Bottles. Please note that you have been short-listed for this trial and a bottle of Ylang Ylang & Lime Body Oil was dispatched to your delivery address a few days ago. Please note that you have been short-listed for this trial and an item No2 will be dispatched to your delivery address in the coming days. E:20/10/13, MuLondon Organic Rose Foaming Face Wash | Win 1 of 12 Full Size Tubes. Please note that you have been short-listed for this trial and a cleanser will be dispatched to your delivery address in the coming days. Kindly note that a few samples will be dispatched to your delivery address in the coming days. 20 x 30ml Skin Revivals White Tea & Rosehip Refining Serum. Kindly note that a MuLondon item was dispatched to your delivery address today. Kindly note that you have been shortlisted for this trial and the item No8 will be dispatched to your delivery address in the coming days. Kindly note that you have been shortlisted for this trial and the item will be dispatched to your delivery address next week. Enjoy and review! Best regards. Kindly note that you have been shortlisted for this trial and the item No5 was dispatched to your delivery address today. Enjoy and review! Best regards. Kindly note that you have been shortlisted for the December’s trial: Melvita Rose Nectar Beauty Cream Hand & Nails (75 ml, £12.00 each). We will dispatch the item in the coming days. Enjoy and review! Best regards. Reminder: Make sure that your delivery address is compelte and up-to-date. See How-To? With 65 reviews, 101 listings and 315 threads, you were our most active member last month. We are delighted to select you as the winner of the November 2012 prize: The Body Shop Spiced Vanilla Bath and Lip Care Collection Tin Set . Thank you for your great support and help. Enjoy and review your prize! With 50 reviews, 67 listings and 440 threads, you were our most active member last month. We are delighted to select you as the winner of the October 2012 prize: 1 x Crabtree & Evelyn Gardeners Hand Care Gift Tin Set. Enjoy and review your set! Thank you for your daily additions to the catalogue and forums. We will soon resume our work on the catalogue but in the meantime we do appreciate your inputs. Congratulations on your selection for August’s trial. A 2 x 300ml set of the Molton Brown New & Improved Haircare Collection was dispatched to your home address this week. Be aware that Molton Brown may use your feedback for their future promotions and marketing materials. As result, we would advise you to post a detailed and carefully worded text bearing in mind the above. Enjoy and Review! Kind regards. With 74 reviews, 85 listings and 594 threads, you were our most active member last month. Your regular contribution to the catalogue of products and to the forums is much appreciated by both the members and the team. We are delighted to select you as the winner of the September 2012 prize: 1 x Gatineau Anti-Ageing Discovery Collection. Many thanks for your time and efforts spent to share your passion with others. Dear bougheyrm. Kindly note that you’ve been shortlisted for the August’s trial: Molton Brown New Haircare Collection. We’ll dispatch the item No6 as soon as we receive it from Molton Brown. Best regards. Thanks for the recent swap, Bougheyrm. You took such care in wrapping all the items individually, I was really impressed! The card was beautiful, thank you for sending it to me! Dear Dese. Please note that your August’s prize was dispatched by Recorded Delivery AI.2929.6429.5GB on 13.09.12, 12.10. Many thanks for your active role and continued support. Enjoy & Review! With 77 reviews, 110 listings and 498 threads, you were our most active member last month. We are very grateful for your exceptional contribution to the catalogue of products and to the forums. We are delighted to select you as the first winner of the August 2012 prize: A Lanvin Rumeur EDP. Please note that Molton Brown would soon team up with our community to work on the July’s trial. They kindly offered to upgrade the current campaign to a full size new trial product to be launched soon. In return, we agreed to withdraw the travel size Healthy Ziao Jao Hairwash sample which would be a discontinued item from 15.08.12. Consequently, those selected for this trial are asked not to review the bottle sent to them. Enjoy but do not review! With 35 reviews, 52 listings and 438 threads, you were one of our most active members last month. We are most impressed by your valuable contribution to the catalogue of products and as a result we are pleased to select you as the winner of the July 2012 prize: REN Shower Wash Trio Set. On behalf of the community, the moderators and the team, we would like to thank you for your time and efforts spent to share your passion with others. Dear bougheyrm. Please note that you have been short listed for July’s trial. A 80 ml sample of the Molton Brown Healthy Ziao Jao Hairwash will be sent to your home address by 2nd class today. Enjoy and Review! Kind regards. Dear bougheyrm. Many thanks for the products you've been adding to the catalogue. As mentioned by mixnmatch1, the Joop! Homme After Shave EDT has been posted twice and we'll soon delete your listing. Kindly review mixnmatch1's listing. Dear bougheyrm. Please note that you’ve been short listed for June’s trial. A full size sample of the Melvita Organic Moisturising Rose Nectar was sent to your home address by Recorded Delivery 1st class. Enjoy and Review! Dear bougheyrm. Your May’s prize will be dispatched by Recorded Delivery AI.2929.6410.5GB on 09.06.12, 9:24. Many thanks for your time and effort spent to share your experience and passion with our community members. Enjoy & Review your set. Kind regards. With 12 listings, 49 reviews and 142 threads, you submitted the highest number of postings in May 2012. We are pleased to inform you that you are the winner of the Decléor 7 Piece Bath Ritual Coffret. On behalf of the community, the moderators and the team, we would like to thank you for your time and efforts spent to share your passion with others. Many Congratulations!!! Dear bougheyrm. Many thanks for your first listings. You did very, very well! Good to have you on board. Kind regards. Dear bougheyrm. Please note that you’ve been short listed for May’s trial. A 25 ml sample of the Ren Neroli and Grapefruit Body Cream was sent to your home address by 1st class. Enjoy and Review! Kind regards. Kindly complete your profile (see steps below) to be considered for the Ren Boy Cream trial. With thanks. A very warm welcome to bougheyrm from the team of moderators! Thank you for joining our community of +3,300 members sharing their passions for beauty products. To date, they have posted +3,200 products, +5,000 reviews, +400 forum topics and +20 blog articles. 1. Start reviewing today to increase your chance of winning our monthly prize to the most active member: Decléor 7 Piece Bath Ritual Coffret. 2. Read more about our latest campaign to offer 24 members the chance to test and review a trial sample of: Ren Neroli and Grapefruit Body Cream. 3. 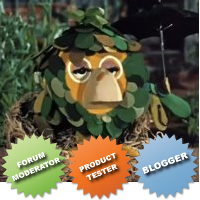 Would you like to join our panel of testers? Read how-to, here. 4. How to register or update your delivery address? Follow these easy steps. 5. Subscribe to our most popular forum category to sell, buy, swap or be tipped off on free products: Bargains & Deals. 6. More tutorials are available in the FAQs section. 7. For help and feedback, please do not hesitate to contact us. This profile has been viewed by 43 users and 1275 guests.